Join us online to learn about Cold Laser Therapy, state of the art technology and a lucrative business builder. The Erchonia lasers were the first in the world to garner an FDA 510(k) market clearance after proving its efficacy through a level (1) double blind, randomized, multi-site clinical study. Since we made history in 2001, we have not stopped our commitment to further advance the science of low level laser and have since received (10) more market clearances and continue research at some of the most prestigious medical and educational facilities in the world. 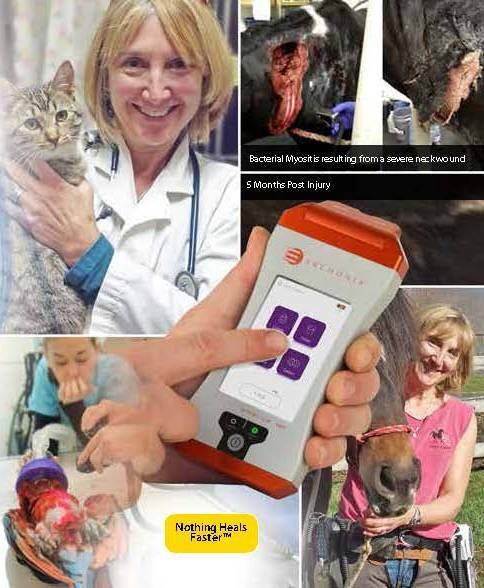 We are pleased to feature low level laser expert, Dr. Janet Gordon who has been using Erchonia lasers with thrilling success on her patients for over 6 years at New Hope Animal Hospital in New Hope, MN, as well as in the field. Her farm and ranch calls, and visits to wildlife rescues, and The Wildcat Sanctuary include various species that benefit from Dr Gordon’s LLLT. Class 2 vs Class 4: A reminder that laser classification is based solely on power and risk of retinal damage and thermal heating. It is not based on efficacy of therapy! Opportunity for attendees to include their challenging cases for treatment possibilities. Dr. Janet Gordon Palm is a practicing veterinarian of 33 years who’s passion, energy and enthusiasm for veterinary medicine continue to increase. Dr. Gordon Palm graduated from Kansas State University in 1981. Dr. Gordon’s multiple species practice consists of treating small animals, avian and exotics, as well as horses, farm animals and wildlife. Discovering low level laser therapy (3LT®) 6 years ago opened the doors to other integrative modalities. As a result, she has presented on low level laser therapy at the Association of Avian Veterinarians in 2011-2014 and many other national veterinary conferences. Space is limited so please register today!! For Questions, Please Contact Your Regional Erchonia Representative.